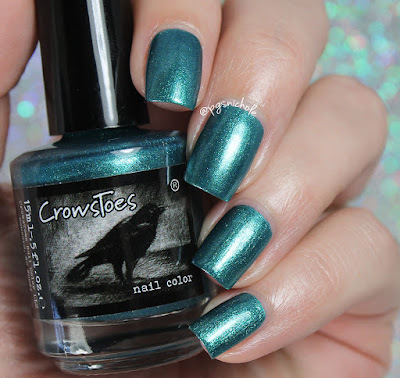 CrowsToes Nail Color makes some pretty stunning shades. We all know that. But did you know that you needed to have this shade? It is like a delicious liquid mermaid skin in a bottle! Keep reading after the break to see the pretties! You might remember that I used this under one of the shades from the Triple M collection a while back. It is a super shiny metallic teal with bright blue bits floating about. The formula is thick and rich, but application is still easy. I used just two coats for all of these pictures. I picked this shade up from Satan Yvette of Southpawlished. She is a terrible enabler and I hate her...no, that is a half-lie. She is a terrible enabler, but I adore her. She's funny, silly, and makes some lovely jewelry. Check out her destash. Or don't. Your wallet will hate you, but at least you'll be sparkly. Are you addicted to destashes? What have you scored on the second-hand market lately? I love a good destash. I'm currently awaiting Abracadabra by Crows Toes. 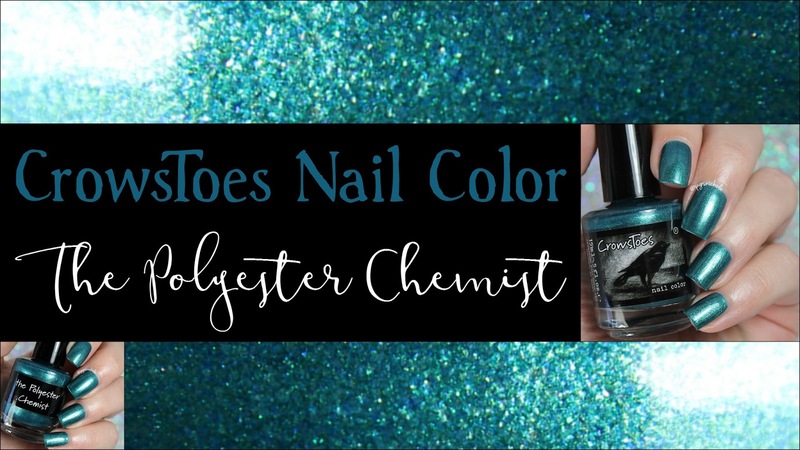 Gooooorgeous, I get weak in the knees for teal polishes, they remind me of the Sharks! Go Sharks, well next year at least. I'm not a fan of metallic looking polishes, but I could bypass that for this color. Ooooh! I love a good destash. I've picked up a couple of LE Ever After's recently. That is glowy gorgeous and I am jelly! Also dang I shouldn't have looked at her destash! So many wants, lol, so little funds. 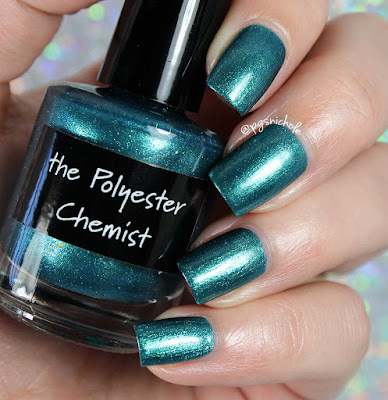 I love this teal!!!! Gorgeous swatches! It's so smooth, like buttah! Gorgeous!! This is so pretty. SO pretty! Oh man, I love the metallic sheen in here. Gorgeous! What a pretty colour! It's such a long time since I've last found a good destash!